Thanks so much to all of you who have read our family’s story. I have loved reading your comments and emails, and talking with some of you as well. You are all a great encouragment to me! I’m so excited about what is next for this blog…I will be doing a short series on helping struggling readers this week. There are many solutions for common reading issues that we can put in place quickly and easily (and inexpensively, too!) I’ll be circling back to behavior management soon, too, in order to share some tried-and-true strategies for making Sunday mornings work smoothly. I’ll also be discussing some ideas for raising mission-minded kids. I’m beginning to work on a new series called “She’s Let Herself GO.” I’ll be sharing stories about some women who are raising exceptional children in unique circumstances. Their journeys of faith will inspire you, and help all of us understand God’s design for special needs ministry, and our place in it! Stay tuned for this series…I’m so excited to share these stories with you! Last week, our team was in Des Moines, Iowa for the Special Needs Resource Conference. This conference is sponsored by five churches, all of which have special needs ministries. They work collaboratively, reaching out to families in their communities and providing safe, welcoming programs. We were amazed by the folks we met~ so many fabulous ideas and such passion for kids with disabilities! 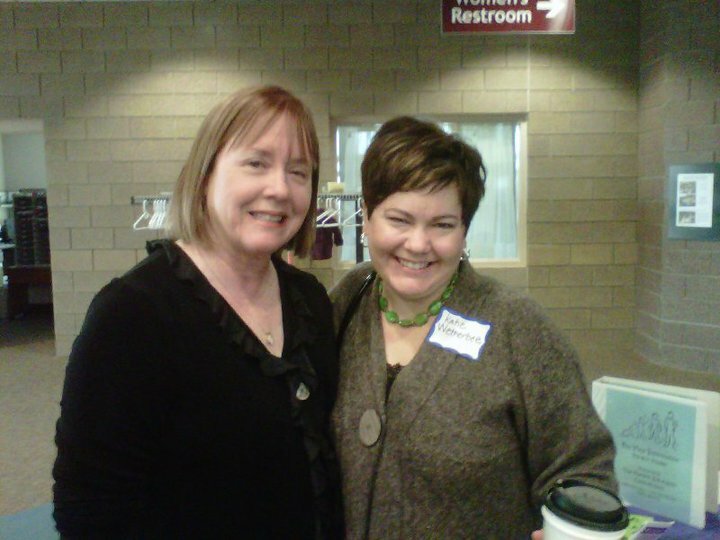 Congrats to Gail Oberkircher from Valley Church, and the rest of her team for planning this great conference! This entry was posted in News You Can Use by katiewetherbee. Bookmark the permalink. Love your story and how you continue to live it out. God bless you and your family. He blesses me through you!!!! Thanks Katie for sharing your story. I looked forward to reading each installment, and was touched by your journey and by the chance to see God at work in you and your family! Sounds like good stuff ahead!